Corn or soybeans typically cover Rob and Loreli Westby's 85-acre farm in the rolling hills a few miles south of Fergus Falls, Minn. But this season there are also native grasses and wildflowers sprouting among the decaying rubble of last year's corn. 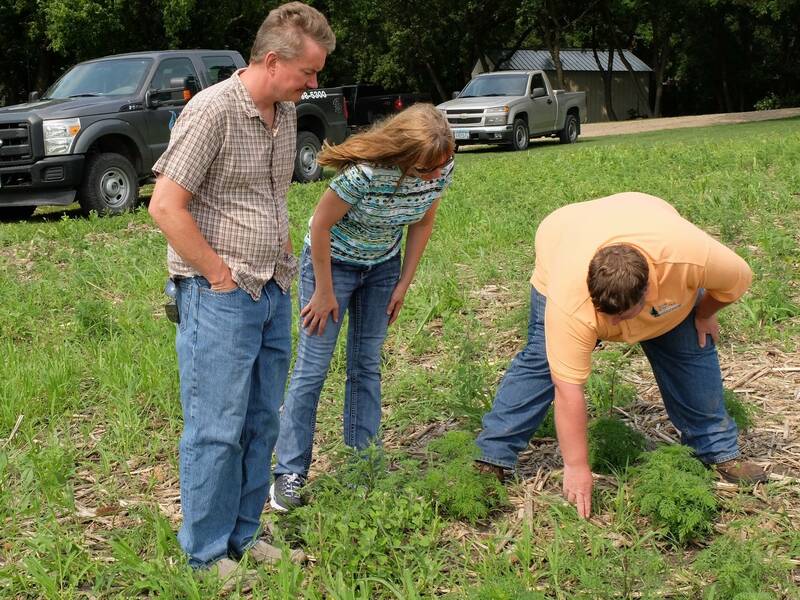 The Westbys shifted some acreage to conservation this year under a new Minnesota program that pays farmers to permanently set aside cropland to improve water quality. 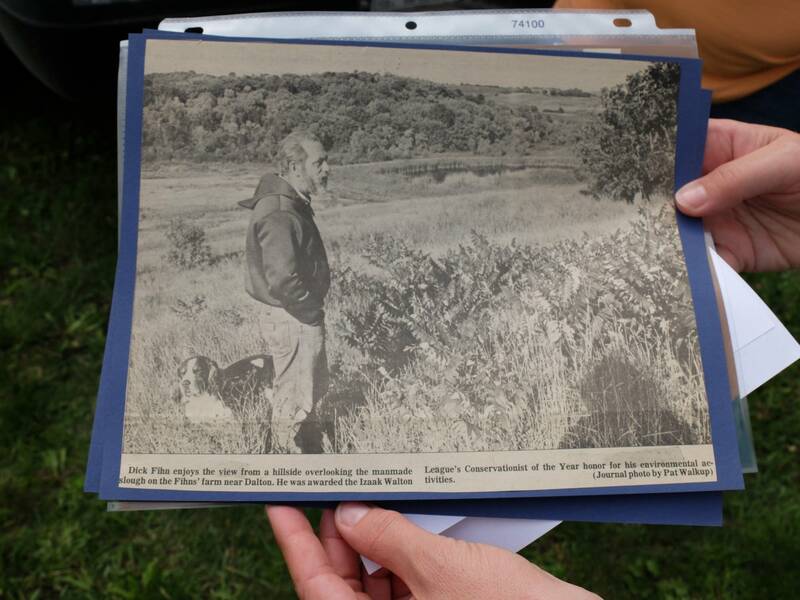 "We both believe in conservation and it will be perpetually protected when we're no longer around and other people can enjoy it," Rob Westby said of the restored wetland that's been in his wife's family for years and where the couple first met while hunting. 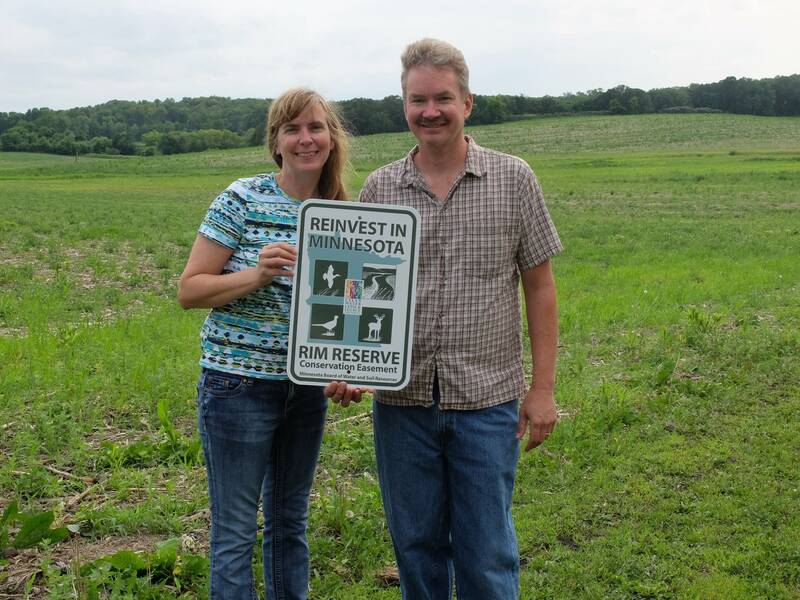 The Westbys took advantage of the Conservation Reserve Enhancement Program launched last year in Minnesota, becoming the first to sign an easement. State officials are working now to sign up more landowners willing to permanently set aside farmland. The federal program protects land for 10 or 15 years, opening the door for the land to be plowed under again. 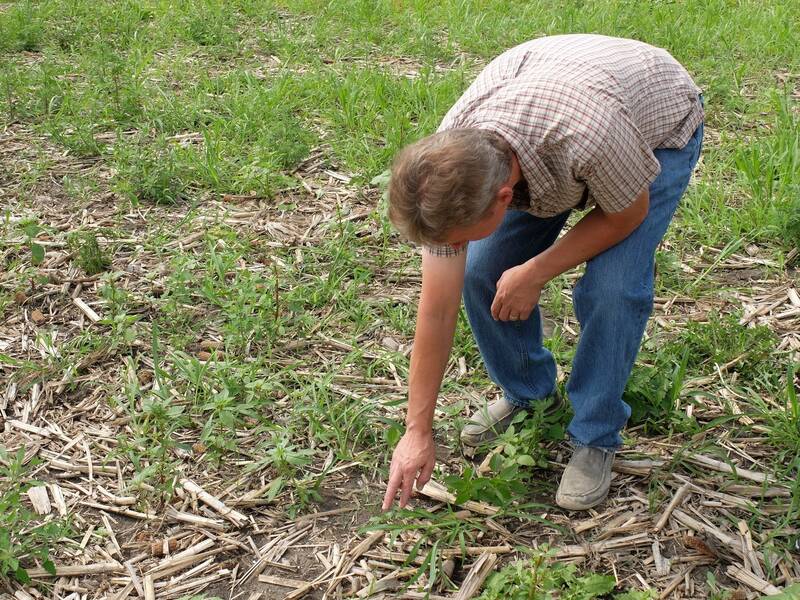 Minnesota could lose 500,000 acres of grassland in the next five years. It's critical to preserve land permanently to maximize water quality protection, said Aaron Larsen, a program manager for the West Otter Tail Soil and Water Conservation District. "We get into cycles, where we have a lot of acres and then crop prices fluctuate, farm bills change and then conservation programs are less available and less attractive," said Larsen, who helped the Westbys enroll their land. "So, we end up with a cycle of high conservation acres and low conservation acres. Having a perpetual easement takes away that risk." The Westby tract looks like a weedy field right now. It takes about three years to get native plants established. But Loreli Westby says it's worth the wait. She's seen the change in other conservation land the couple owns. "We were just in there the other night and there was a fawn, and there's butterflies, and birds and the flowers are blooming." The Westbys get annual CRP payments for 15 years for taking this farmland out of production. They also get a one-time payment from the state. The payments are determined through a complex formula, but the combination of federal and state dollars will equal 90 percent of the average per acre land value. The goal of the Conservation Reserve Enhancement Program is to restore and preserve 60,000 acres, or roughly 90 square miles of land across 54 counties in western and southern Minnesota. 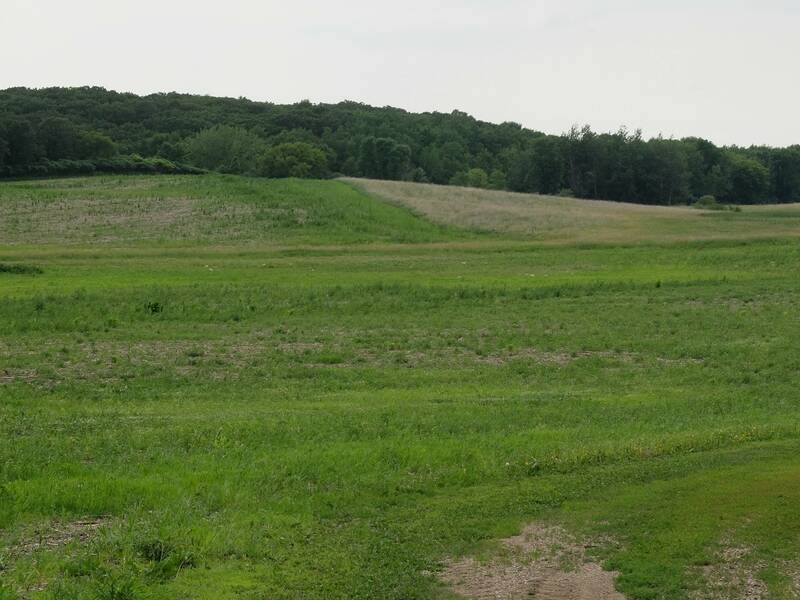 "From a public investment standpoint, this is a one-time investment and we receive those water quality and habitat benefits forever," said Dave Weirens, assistant director for programs and policy at the Minnesota Board of Water and Soil Resources. Minnesota had Conservation Reserve Enhancement Programs in 1998 and 2005, but those focused on creating wildlife habitat, said Weirens. This CREP effort targets land that will most benefit water quality, focusing on buffer strips along waterways, wetlands and protecting drinking water supplies. In the first year of this new CREP signup, 154 landowners signed up 5,720 acres, at an estimated cost of $49 million. The program is funded by $350 million from the USDA and $150 million from the state, and local and state conservation officials hope to spend all of the money in the next four years, creating hundreds of new wetlands and thousands of acres of grassland. For the Westbys, setting aside the land where they met was an easy choice. He's a taxidermist, she's a pharmacist and both are avid hunters and conservationists. In the past nine years, they've put more than 600 acres of land into conservation programs. "Before my dad passed away, one of his desires was to have the land protected and not ever have it developed," Loreli Westby said. "So, we decided to start out a few years ago putting small pieces in CRP and it just kind of grew from there."